At Atradius we continuously strive to optimise our organisation. 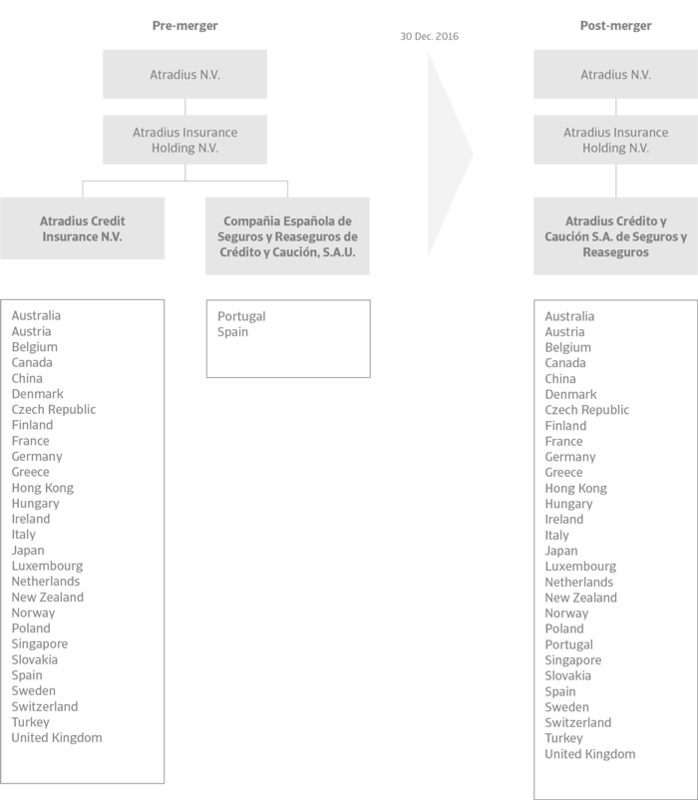 As part of this effort the merger of our two European Credit Insurance subsidiaries, Atradius Credit Insurance N.V. and Compañía Española de Seguros y Reaseguros de Crédito y Caución, S.A.U. into one single legal entity was completed on 30 December 2016. As of this date the merged entity was renamed Atradius Crédito y Caución S.A. de Seguros y Reaseguros, however the Atradius brand name and the Crédito y Caución brand name will continue to be used in their respective markets. 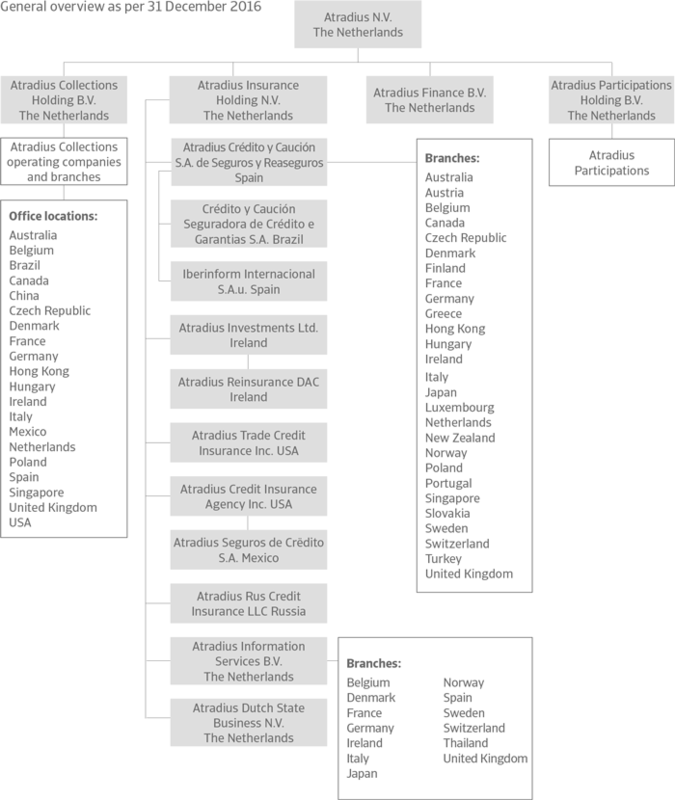 Atradius N.V. remains the Dutch holding company of the international credit insurance, bonding, reinsurance, debt collection and information services companies across the world. The new organisational structure enables Atradius to reduce the complexities of having two European insurance carriers, different regulatory environments and dual governance frameworks, without impacting our successful business model or established brands. It further improves the effectiveness of our value proposition of providing unrivalled customer service in the global Credit Insurance and Bonding markets.